A little blurry, but kind of pretty all the same. 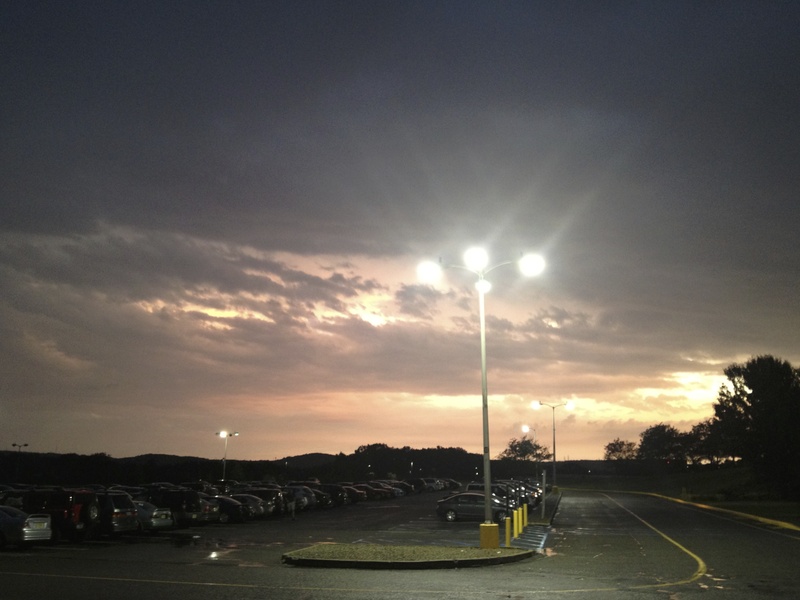 Sunset over the parking lot at the mall where I work. I don’t think it came out quite as colorful as I would have liked, but it’s still kind of pretty.